Dr. John W Dorunda, MD is a Doctor primarily located in Groton, CT. He has 20 years of experience. His specialties include Family Medicine. He speaks English. Dr. Dorunda has received 1 award. The overall average patient rating of Dr. John W Dorunda is Great. Dr. John W Dorunda has been rated by 5 patients. From those 5 patients 1 of those left a comment along with their rating. The overall rating for Dr. John W Dorunda is 4.2 of 5.0 stars. He was great with my son and got us set up with the help that we needed. We basically were seen 5 minutes after I called and said my son needed to be seen. (We were at the clinic upstairs in another department) They literally worked us right in. I was so greatful for the visit. He was spot on with so many things. I felt very safe with him and switched the entire family over to him for all of our PCM's. We are sorry, it looks like we don't have insurance information. Please call Dr. John W Dorunda's office for more information. 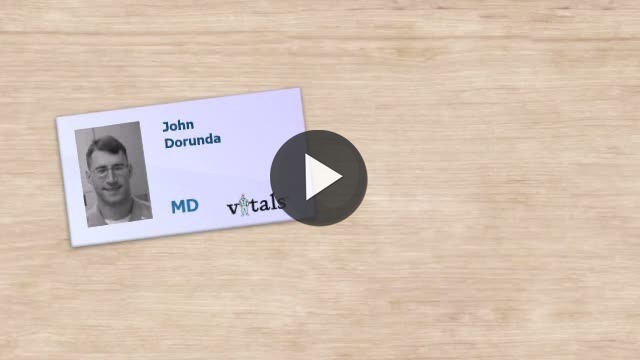 Take a minute to learn about Dr. John W Dorunda, MD - Family Medicine in Groton, CT, in this video. Dr. John W Dorunda is similar to the following 4 Doctors near Groton, CT.
Have you had a recent visit with Dr. John W Dorunda? Select a star to let us know how it was.